I have many questions about these three, but I’d rather not get them answered. The Mavericks are out to change the world. We’re covering Adams and Eves with looks they’ve been longing for. 350 Fifth Avenue, New York 10001. 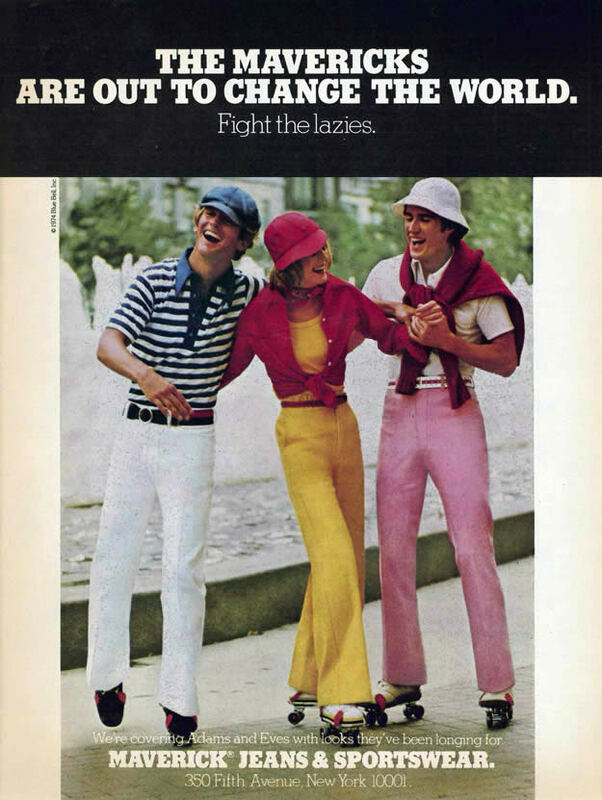 This entry was posted in ads of yore and tagged 1970s, 70s, ads, advertisements, advertising, clothing, magazine ads, maverick, print ads, seventies, vintage, vintage ads, vintage advertisements, vintage advertising on February 7, 2017 by Clayton Hove.